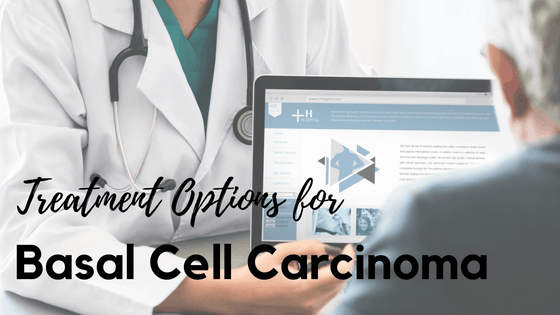 There are proven treatment options that can be used to remove or treat basal cell skin cancers depending on tumor size and location as well as the person’s age, general health, and preferences. Basal skin cancers rarely spread to other parts of the body, but they can affect nearby tissues if not treated. Below are some effective treatments for basal cell carcinoma. After treatments, the chance of cancer coming back ranges from less than 5% to up to 15% or higher depending on the size of the tumor. Small tumors are less likely to recur than larger ones. Nevertheless, even if a tumor does come back, it can still be treated effectively. If you suspect skin cancer, this is all the more reason to seek immediate care from a board-certified dermatologist. Don’t wait while the suspected cancer grows larger and requires a more invasive procedure. Get a diagnosis as soon as you possibly can. If you’re in central Alabama, the staff at Associated Dermatologists are here to help. Curettage and electrodesiccation: This is probably the most common treatment for basal cell carcinoma. However, more often than not, this procedure needs to repeated to ensure that all of the cancer has been destroyed. Excision: This is simply cutting the tumor out. Mohs Surgery: This is said to be the best cure for basal cell carcinoma, but is usually a more complex procedure. It’s one of the best protocols for treating large tumors, tumors located on or near the nose, eyes, ears, forehead, scalp, fingers, and genital area as well as those that have come back after other treatments. Patients who can’t undergo surgery and have tumors located on the eyelids, nose or ears, which are hard to treat through surgery can opt to go for this treatment. This may sometimes be used after an unsuccessful surgery where all cancer has not been successfully removed. These are options for treating tumors that have grown too deeply into the skin or what are called superficial tumors. But it is important to note that close follow-up is needed because these treatments are not able to destroy cancer cells that have grown too deeply into the surface. Is also known as cryosurgery and it is commonly used for small basal cell carcinomas. This is not recommended for larger tumors or for those that are on certain parts of the body, specifically on the nose, ears, eyelids, scalp or legs. Targeted drug such as vismodegib (Erivedge) or sonidegib (Odomzo), can often shrink or slow the growth of skin cancers in cases where it has already spread to other parts of the body, or when it can’t be cured with surgery or radiation therapy. Please keep in mind that the best treatment for your condition can only be given by a professional. So if you’re suffering from skin cancer and looking for options to get rid of it, visit a trusted dermatologist, like Associated Dermatologists to get the most appropriate treatment. We’re a group of licensed skin care professionals at a convenient location in Trussville just minutes from I-459. Give us a call if you’d like to schedule an appointment with one of our doctors. We’re open from 8AM to 4PM Monday through Thursday, and we’re here to help.